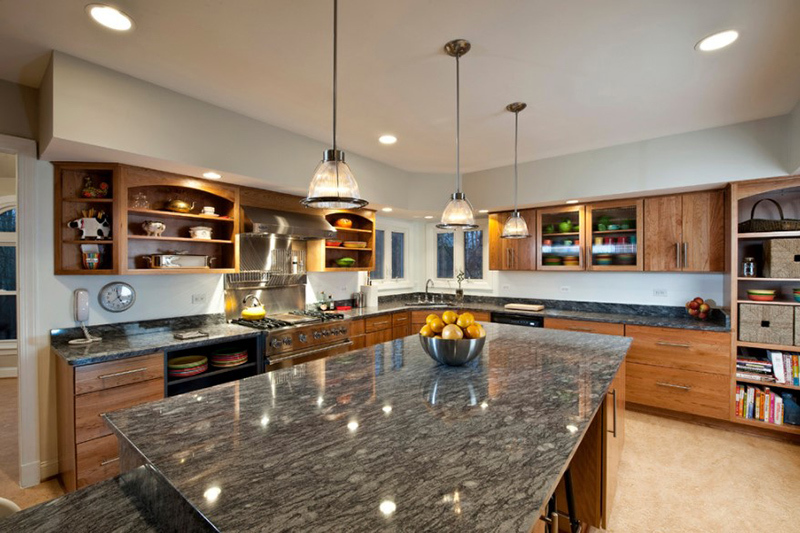 This post will guide you on what material is best for your kitchen countertop. Are you looking for the best material for your kitchen countertop? Is it hard for you to decide which one to buy? For sure, you will agree with us that the kitchen is the busiest part of the house. Hence, we make sure that everything in it will work well for food preparation and cooking. The kitchen countertop is a crucial aspect in the kitchen because we use it for many different activities. Some countertops would stain and acquire scratches over time. Others are even damaged easily and will discolor. Another usual issue is the heat resistance of the countertop. So, how can you pick the best material for your countertops? Don’t worry. There is a solution. All you have to do is look into the pros and cons of every material so that you can decide which one is perfect for your kitchen and your usage. And we even made it easier for you! 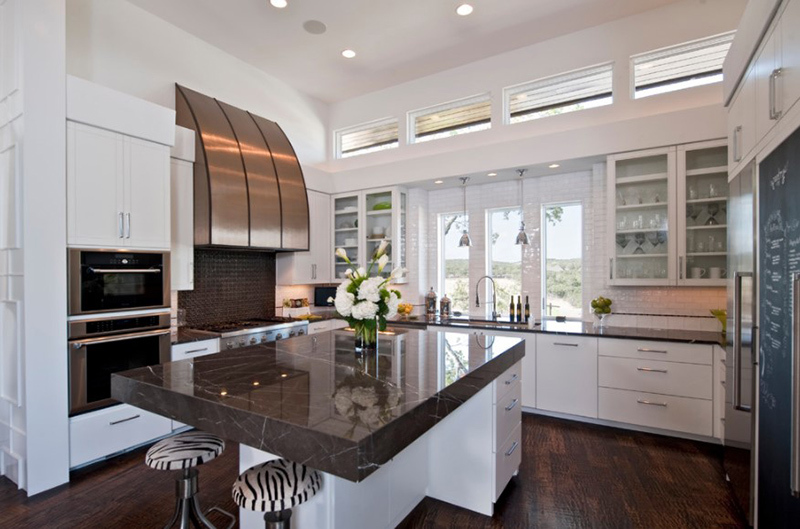 Below is a list of kitchen countertop materials and their advantages and disadvantages. Take a look at the list so you can be guided before you make a purchase. This is the top choice for most homeowners and is usually used for traditional kitchens. 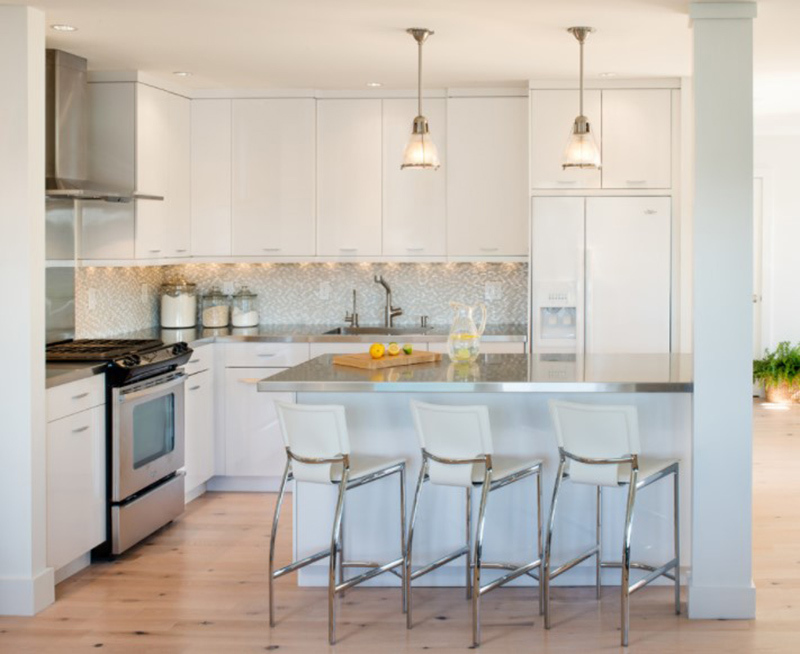 It creates a high-end look just like these kitchens. Due to its stone variation, matching up slabs could be tricky. In order to keep its good looks, stains like wine, oil and acid should be wiped up quickly. It should also be stained regularly annually. Advantage: Because each slab of this natural material is unique, each one has rare colors and distinct veining. It resists heat and it won’t be harmed by cuts and scratches. When properly sealed, the polished and matte finishes could resist most stains. Disadvantage: The edges and corner could chip and it would cost a lot for a professional to fix it. Periodic resealing is also needed to protect it from stains. 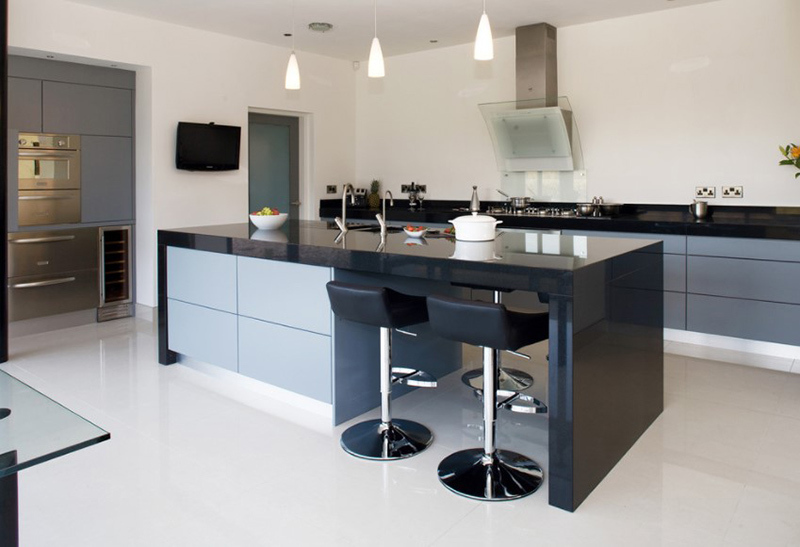 If you want one that is maintenance free engineered quartz countertops is the one you need. It is stain, acid, scratch, heat and impact resistant and it doesn’t need to be sealed like natural stone countertops. It comes in a wide range of colors and patterns. It is a combination of mineral, color, and resin. The appearance looks similar to granite. Advantage: Although it looks like natural stone, it doesn’t need maintenance. You do not need to worry about hot pots, serrated knives, abrasive pads, and most stains. Aside from patterns like marble and granite, it is also available in many vibrant colors. Disadvantage: The edges and corners may chip like granite. It is advisable to use rounded edges. Laminate countertops are enjoying a resurgence in popularity not just because of its budget-friendly price but also due to the new patterns that resemble natural stone, wood or even quartz. Apart from patterns, there are also trendy color choice available. Advantage: It is inexpensive and easy to install. Stains and heat don’t damage the laminates. Disadvantage: Cutting directly on it may cause permanent damages. If you want to achieve a cottage kitchen look even for your modern home, wood countertops would be perfect. Aside from being decorative, it is also functional. When properly sealed, wood countertops are sanitary and can even be used for chopping meat. Wood is highly heat-resistant. Hence, users do not need to worry about hot pots and pans on the surface. Most homeowners opt to mix wood countertops with other surfaces like natural or engineered stone. 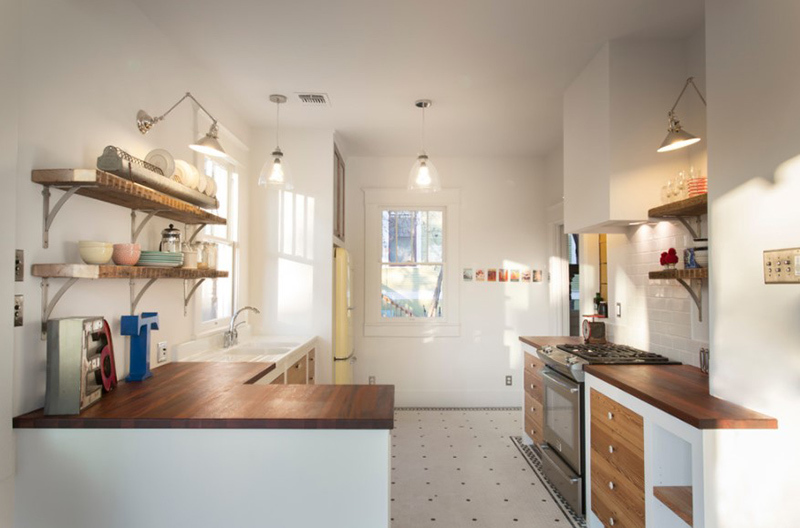 Wooden countertops look great with a wood and white kitchen design. Advantage: Aside from being beautiful, it also brings warmth to the space. It also literally feels warm to the touch. The edges will last longer than granite or concrete. It can also be recycled or reclaimed. Disadvantage: Proper sealing is required in order to avoid water damage and to avoid the multiplication of germs since it is a porous surface. It needs refinishing for 10-20 years. This man-made material is usually composed of a combination of marble dust, bauxite, acrylic, epoxy or polyester resins and pigments. It is most frequently used for seamless countertop installations. You can see at how this material looks like in kitchens with synthetic counterops. Advantage: It is available in a variety of colors and patterns. Solid surfacing is resistant to most stains. If there are small nicks and scratches, it can be repaired. Disadvantage: It scratches and cuts easily. Tile countertops are a great choice especially if you want an inexpensive material that’s easy to maintain. It’s easy to coordinate with or mix and match different design styles. Also, a tile kitchen countertop could be a do-it-yourself project which means you do not need to hire someone to work on it. It can also be perfect for the kitchen backsplash to give your kitchen more appeal. Advantage: Apart from being able to mix and match it with other designs and colors, it could give an elegant look to your kitchen. It is easy to clean and heat resistance. When damaged, it is also easy to replace. Disadvantage: Using tiles will result into an uneven surface and it is prone to cracks. This is an eco-friendly choice which come in a variety of sustainable materials, including concrete, glass, paper, composite and plastic. 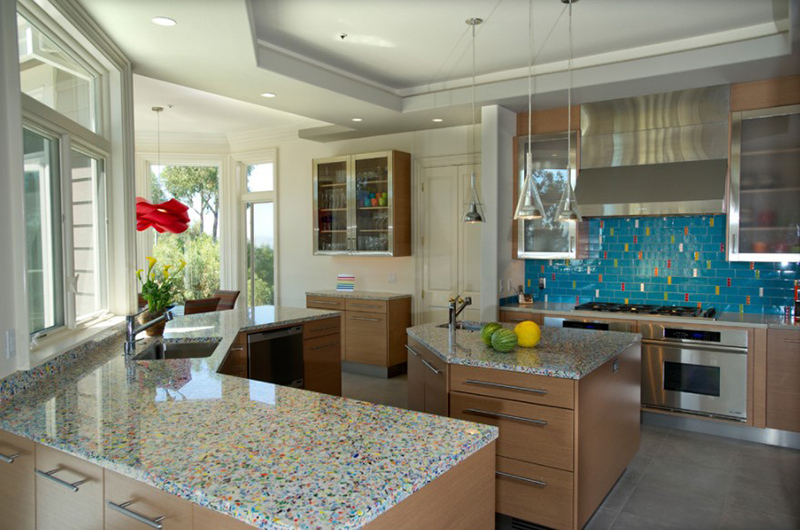 Usually a mix of pre- and post-consumer products, recycled countertops are available in a wide range of colors and textures. Advantage: It looks unique and it is durable. 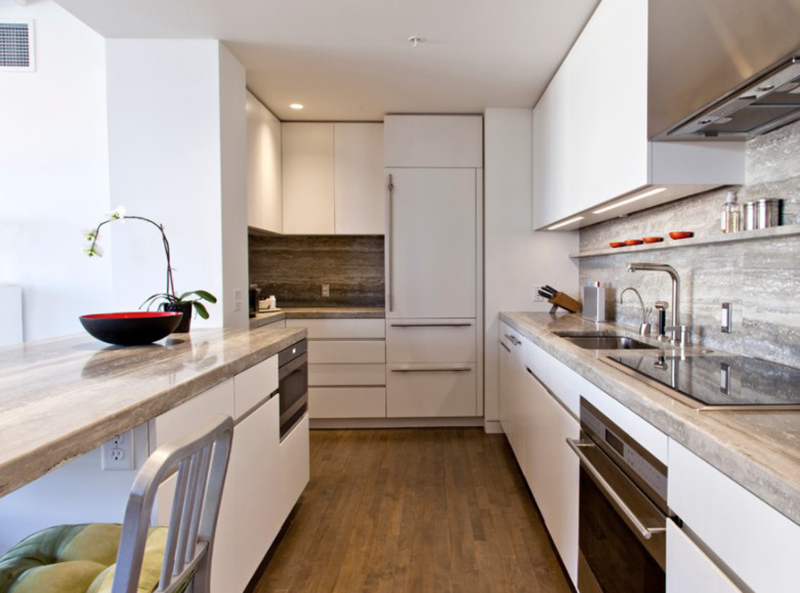 The countertop is also low-maintenance and is resistant to stains, cuts, scratches, and heat. Disadvantage: It may chip especially when heavy objects are dropped on it. It is also not as durable as other countertops. 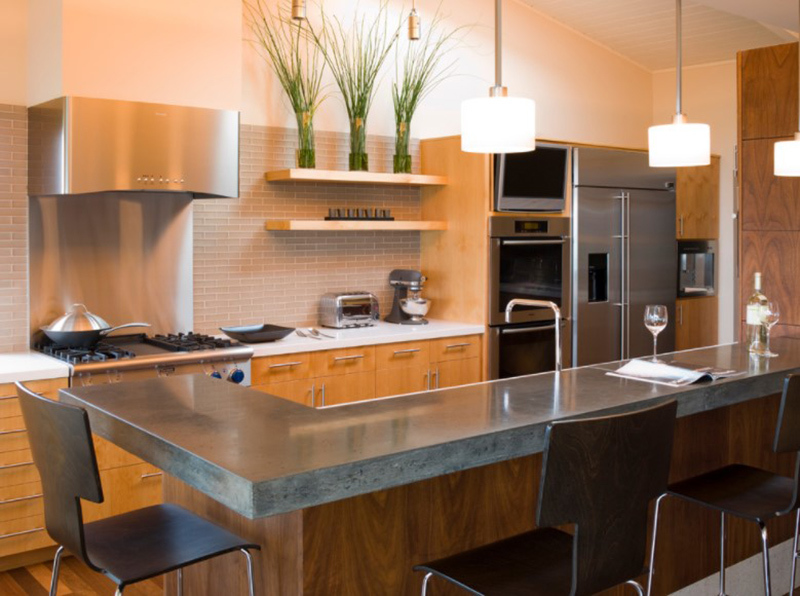 Concrete countertops are highly customizable. You can even choose any stain color and texture. 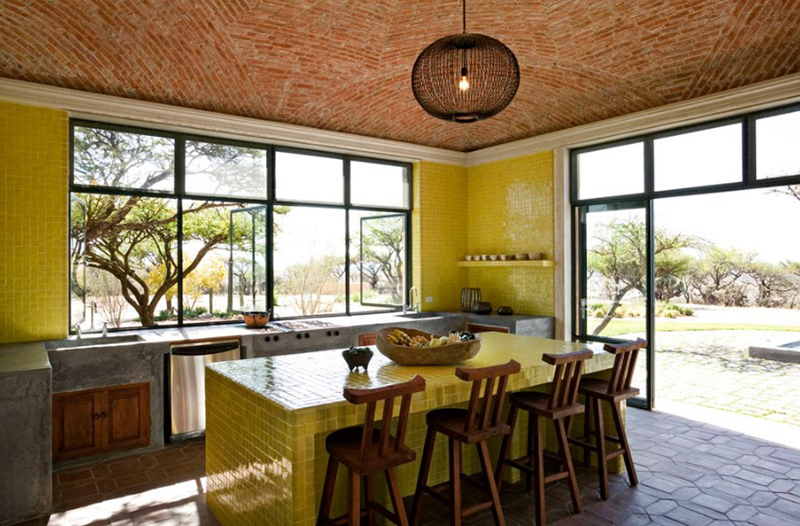 It goes well with many different materials like glass, tile and marble. Aside from its appeal, it is energy efficient since it captures the heat when the temperature in your home rises and releases it when the temperature cools down. Advantage: It creates a seamless look when seam filler is used. You can choose whatever color you want for it and when it is stained properly, it is stain resistant. It is also durable and heat resistant. Disadvantage: If not properly stained, it will show markings of oil, soda, acid and other spills. To avoid that, it needs to be sealed every three years. There is also a possibility of cracks and it can be very expensive. 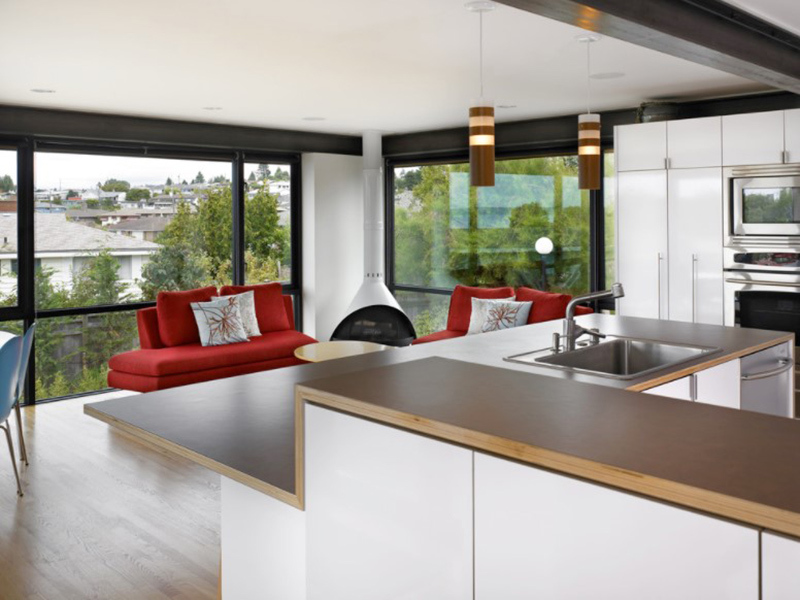 Stainless steel lends a modern, industrial look to a kitchen. The metal surface coordinates with any color and it looks good in whatever interior. It is one of the easiest countertop materials to clean wherein you just wipe off stains with a cloth and mild soap. It is the most hygienic countertop available since it inhibits bacterial build up. Advantage: Aside from its tailored look, stainless steel is resistant to almost everything. Disadvantage: It may dent and scratch. Also, it is also noisy especially if you drop a spoon or any object on it. 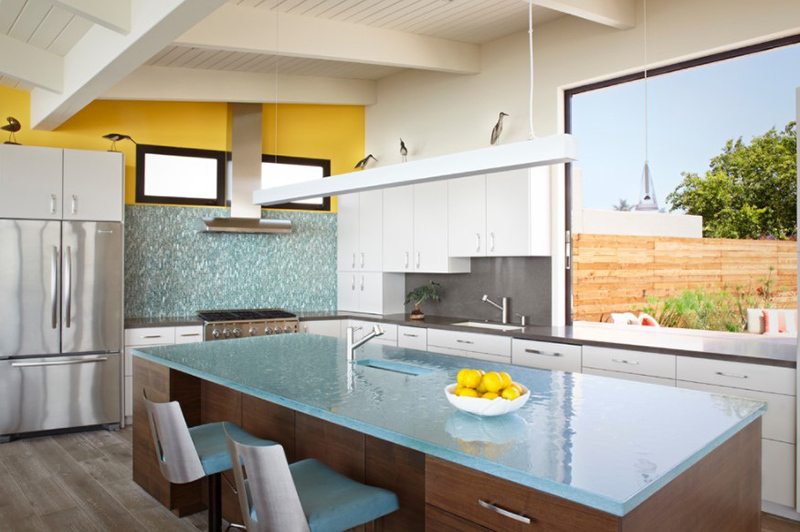 Aside from its sleek, streamlined appearance, glass countertops can be cut into any shape and it is available in different texture and color options. This type of material is a trend in modern kitchens but it is more expensive. It’s easy to clean and stain-resistant. Like stainless, it is also a hygienic countertop material. To ensure durability, a glass that is least 1 inch thick and tempered is required. Advantage: It is durable and it won’t easily chip. It is very easy to clean. Disadvantage: It could crack when a very heavy object is placed on it. The gray-toned veining in Carrara or Calacatta marble is not just aesthetically pleasing. It actually helps to disguise wear and it could hide light stains. This material gives any kitchen a decidedly high-end look like whatever is the layout of the kitchen. Advantage: If you are working with pastry, marble is good because of its cool temperature. It is widely available and easy to clean. Disadvantage: Leaving something acidic (like a lemon) on top of it may cause scratching or staining. Regular sealing is also needed. Soapstone is a non-porous natural stone which is available in a range of gray tones from light to dark. It also features subtle veining. Unlike other natural stones, it doesn’t need yearly but merely period oiling so it can look its best. The application of mineral oil will also help to disguise any surface scratches and it will deepen the stone’s color over time. Advantage: This natural stone will not crack unexpectedly due to weight or stress. It is very non-porous and it doesn’t require sealing. Disadvantage: Soapstone is also known as a softer type of stone. It is soft to the touch which is actually its weaker feature. Because of that, one needs to be careful not to cut directly on it or drop heavy objects on it. 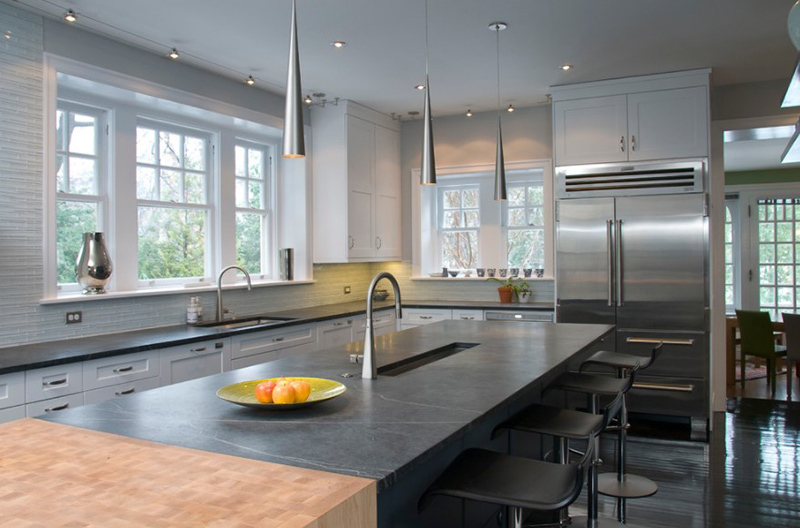 A limestone countertop has increasingly become a more popular type of stone countertop due to its remarkable resemblance to marble which is expensive. The beauty of limestone is one thing that makes it a popular material. It gives a kitchen a sleek elegant look. Advantage: Limestone can be used in whatever interior design you have in your kitchen. Disadvantage: It has the tendency to scratch easily and it my even discolor. You should also be careful not to put hot pans on it. Due to its sophisticated luxurious look and its resemblance with marble, travertine has become very popular. This requires more maintenance if you don’t fill and seal its pitted surface where it can trap food and bacteria and even absorb liquids. Despite its high maintenance, it is one of the most beautiful materials that brings a warm and inviting feel to any kitchen design style. Advantage: It is an economical and environment-friendly natural stone that can be available in different colors. Aside from enduring stains, it can also survive harsh weather conditions. Disadvantage: It extremely reactive to acidic solvents and it may discolor. Special products are needed to clean the countertops to retain its look. Alkaline based products are used for cleaning to avoid the danger of etching. 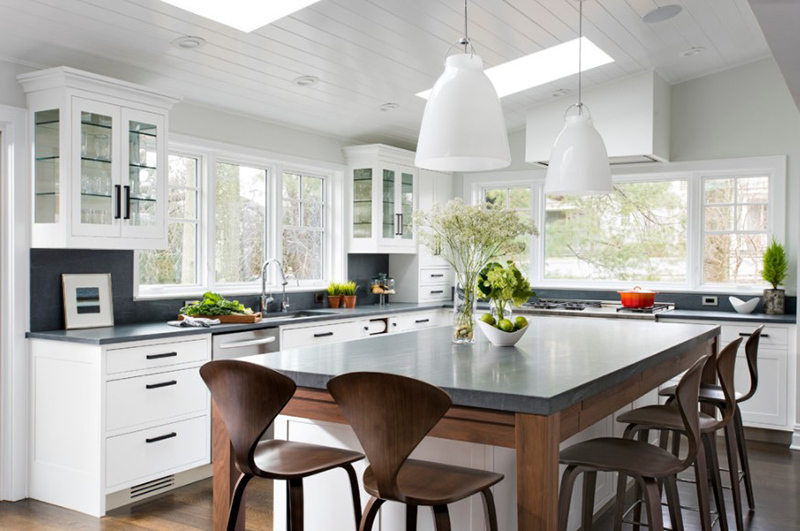 After knowing the advantages and disadvantages of using the different countertop materials for the kitchen, we hope that you are able to decide which one to use for your kitchen. There are indeed so many choices but make sure to pick one that will work well for your usage. Can you tell me which of the above countertops are you using in your home? Wow those kitchen looks all so beautiful!! I love the grant working space! I imagine glass countertops is not for people with small kids. The Quartz is so pretty! Wow! I had no idea how many options there were. I love all the examples you provided. We have quartz, but some friends have concrete, granite, marble, and used to have tile. The info you provided is really helpful! This is so, so helpful! Thank you! I’m just starting to plan a big kitchen reno and I was thinking about all of the types of countertops available! This is perfect! Wow. I didn’t know that there were so many types of counter tops to choose from. It was so detailed about the qualities of each type. Thanks for sharing! This is the strangest thing because I am actually looking for kitchen counter tops! Why did I only think there was granite? Thank you so much for this! Types and I didn’t even know you could have glass or cement types. You learn something new every day. Wow! I love all these kinds of designs. I am planning to renovate my kitchen soon. Thanks for sharing this. 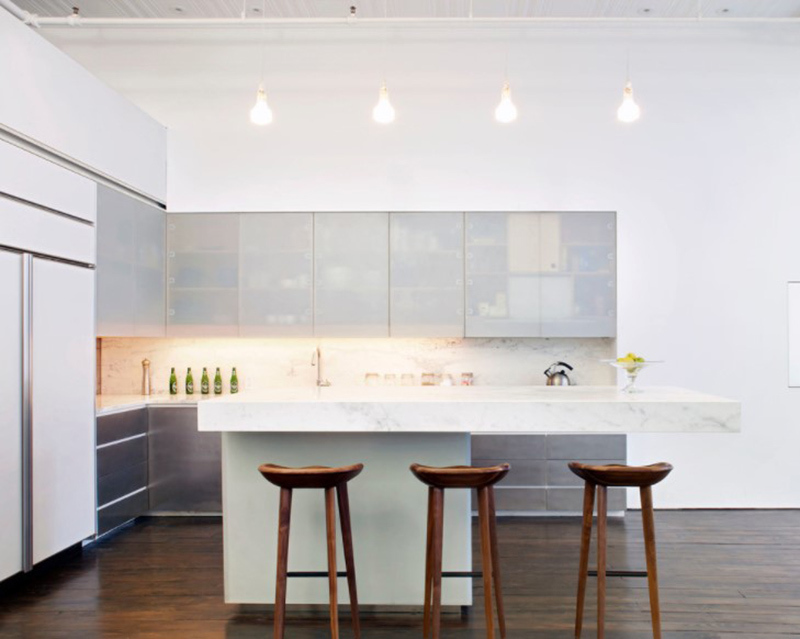 These modern kitchens really look very elegant. These were not yet in vogue when our house was built so our counter was very simple. Would be good to consider these choices you enumerated should be do a renovation one of these days. I’ll go with wood, laminated and recycled material countertops. They are budget friendly and can still be elegant. All of them are great options. I prefer the quartz though. And with rounded edges. When I have my own place, I’d love to have a marble countertop because they look so pretty in my opinion! But I didn’t know they could get damaged by lemons and easily scratched, I thought they would be quite durable. I’m glad I know about needing to regularly seal them too. Yes it is. Actually most of them are not immune from scratch but it’s better to always keep in mind how you use your countertop to avoid damages. You could also try white synthetic countertop if you want. I never knew there are so many options to choose from, and the illustrated kitchens are just gorgeous. Thank you for all the specific detail on the pros and cons of each option. Loving all the kitchens here. Very helpful also. Keep it up. Love your roundup of materials and descriptions on pros and cons. I would love a marble or granite replacement one of these days. Wow thanks for the indepth information, I think i like the solid surface top.